To be honest (famous last words) I was expecting something stuffier. Not the food, mind you (I cleared every plate, including dessert) but rather the overall experience. I was expecting old men in suits, huddled over Chilean sea bass and steak sandwiches. Far from it. 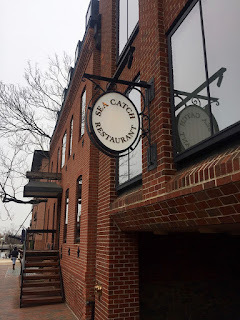 It began with a warm greeting from a familiar face (GM Ryan Fichter, one of the best chefs in DC) a stroll through one of the nicest, most unique dining rooms in the city, and a marble table by one of two fireplaces, with a clear-as-a-bell view of the aforementioned C&O Canal. Color me impressed. Sea Catch is (pardon the pun) drenched in atmosphere. 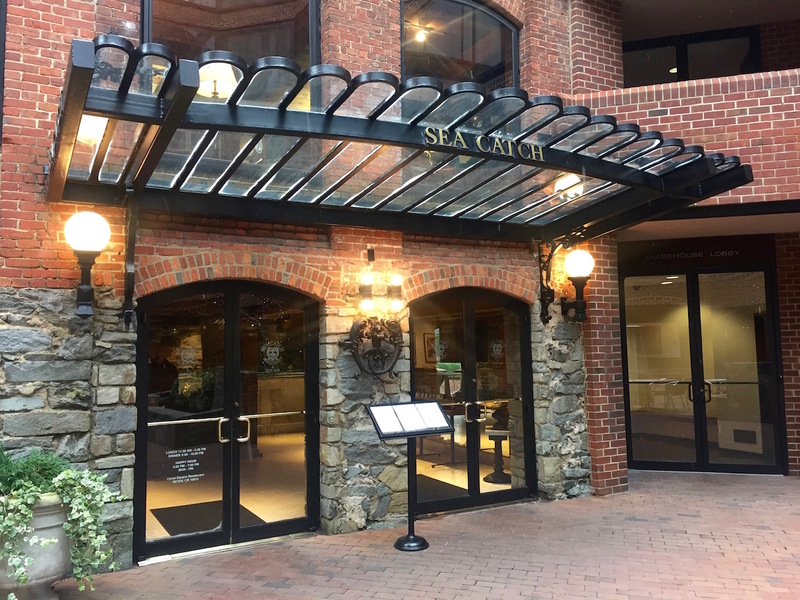 There's a gorgeous raw bar up front, and a long, stately bar on the opposite side. Given the time of day (after 2) it wasn't packed, so I can't say how loud it gets; but there are over 300 total seats in the restaurant and court yard, so it's safe to assume you can find a quiet space somewhere. As for music, think 60's cool ("Satin Doll" by Nancy Wilson, Louis Prima's "Banana Split for My Baby") and plenty of much-appreciated heat from the working fireplace. Now that we've established how comfortable and inviting Sea Catch is, it's time to focus on the more important quality of food (hint: you're not going to be disappointed.) It opened with tasty bread (well-done crust, pillowy soft interior) and good-quality, room temperature butter. 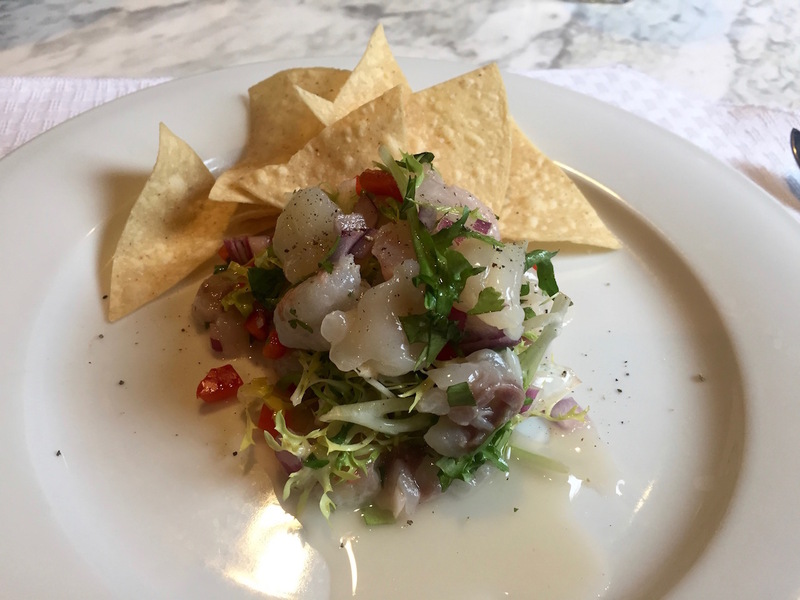 Up first, a Seafood Ceviche to die for... Fleshy corvina, scallops and seafood with cilantro, lime juice, red bell peppers and red onions ($16.) Presentation was bright & beautiful with a fresh, citrusy marinade and generous sized chunks of fish. Even the tortilla chips were house-made and crunchy. I Tweeted out, "Knockout Seafood Ceviche," but looking back, I probably didn't do it justice. It's that good. 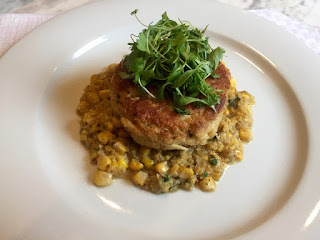 Ditto for Chef Rosenthal's creative Crab Cake appetizer, atop a sweet corn succotash with a surprise hint of vanilla, that really makes it stand out. It's pricey ($19) but warms you up (hot all the way through) with tons of creamy Maryland Jumbo Lump Crab. Comfort food never tasted so good. My only complaint? Perhaps less micro greens on top, although the color makes a welcome addition. I understand the Crab Cake Sandwich (served with French Fries for the same $19) features two crab cakes. I know what I'm having next time. 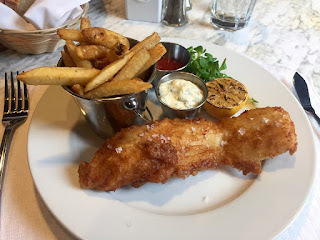 I was half-tempted to try the Lobster Frittata for my entree; but I was feeling so cozy, I decided to play it safe with Fish & Chips (a mere $18, and worth every penny.) You only get one piece of superb cod fish, but it's crispy on the outside, flaky inside & hot all the way through, with equally hot fries that were expertly seasoned (the perfect ratio of salt, pepper and Old Bay.) Ditto for the fish batter, which was dotted with the optimum amount of sea salt flakes. A+ for seasoning, across the board. 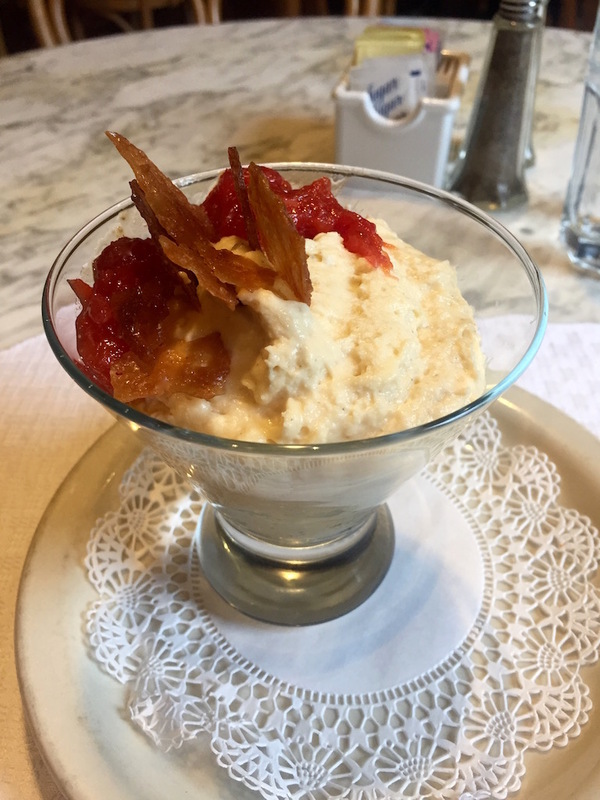 How I found room for dessert remains a mystery (especially at lunch) but only a fool would pass on a $10 dish of White Chocolate Mousse with a crispy, blood orange-flavored Tuile and blood orange compote. O-M-G. 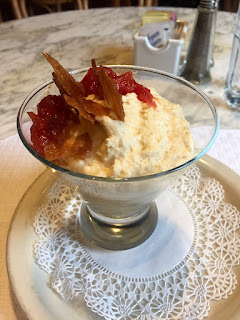 The mousse was silky smooth and rich (white chocolate rules) and the use of blood oranges, creative and tasty. I'd be remiss, if I didn't mention what I overheard from a table of three ladies sitting a few feet away from me. "That looks delicious," and "That really looks good." That's the kind of reaction one only dreams of; and it only echoed my unspoken thoughts (I was busy clearing my plates.) 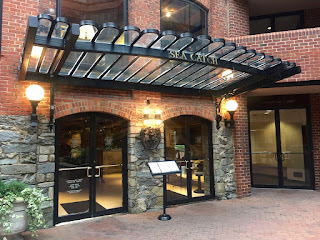 Sea Catch is a big restaurant, that's relatively hidden (given its capacity) on 31st Street, NW off M Street. I urge you to find it. Whether it's your first time (like me) or your umpteenth visit. 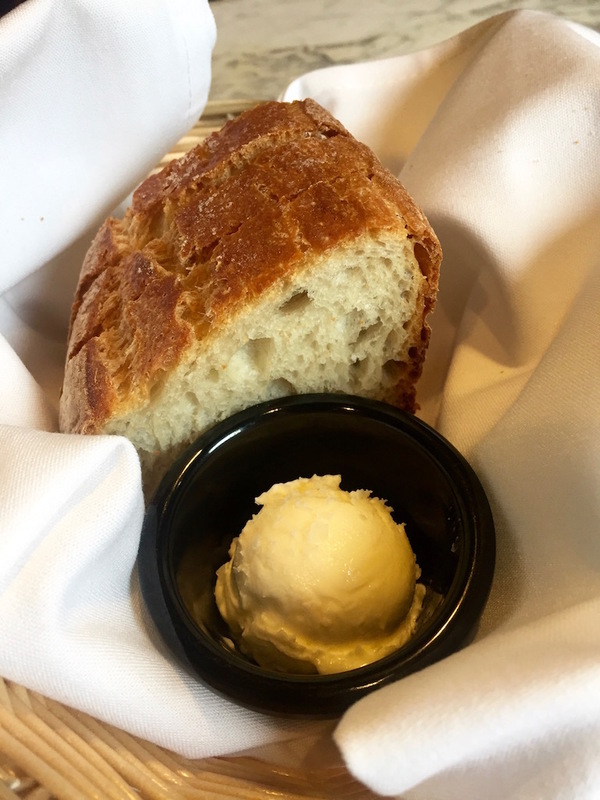 History never felt so comfortable, yet alone tasted so good.